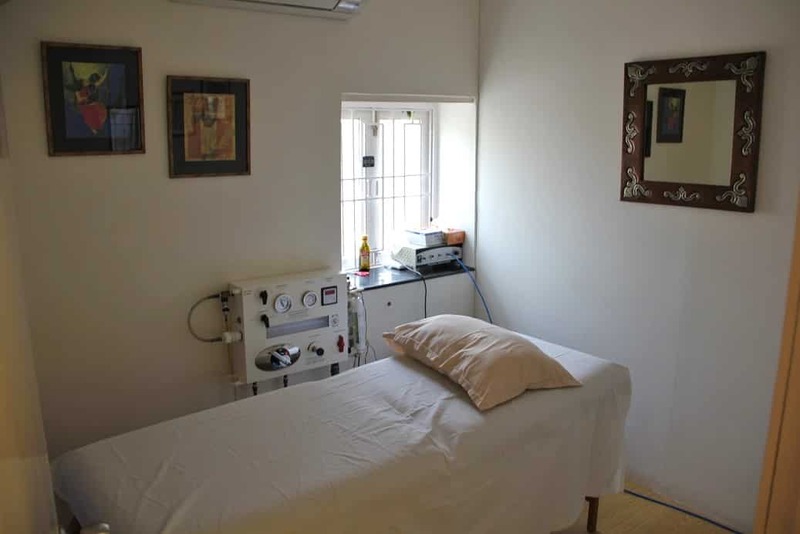 In North-Goa, at Healthy Healing Center, allopathically trained physician Dr. Shikha Aggarwal, originally from Punjab with loads of additional courses on integrative therapies, offers wide variety of treatments that makes it the go-to wellness destination in Goa for all budgets. 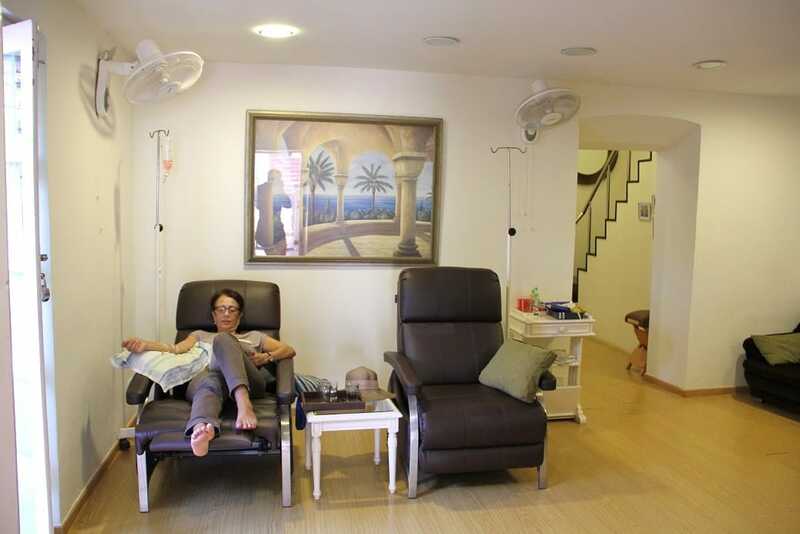 In addition to the core practice of ozone and EDTA-(DMSA) chelation therapy and colon hydrotherapy, which has been part of the detox programs since the early years of operation from 2005 when they started, they have recently added some natural cosmetics and stem cell therapy for your selection too. Her services include also dietary and supplement consultation and any other basic blood work to see where you are standing at the beginning and at the end or during your treatment protocol. For instance I was careful during chelation therapy and took maybe more than enough kidney tests. And now she also does live blood analysis. That allows patient to visually see how the blood structure changes after the therapies. She has ready made packages for short stayers, but is also able to fix a longer term protocols based on personal needs and length of stay. So her integrative medicine tool box has plenty to choose from. Ozone therapies you can take include autohemotherapy, ozonated saline intravenous infusions, rectal insufflations and ozone steam sauna. My protocol included autohemo, saline, couple of steam baths and EDTA-DMSA chelation. EDTA is given intravenously during two and half to three hours sessions and DMSA capsules are taken orally before the drip starts. Ozone saline drip lasts about 30 minutes, autohemotherapy about one and half hour and sauna about 20 minutes plus preparation. Or you can make it more intense if you like, six days treatments and one day break if your body allows. One can take even three chelation sessions per week. I find it very strong and effective, almost even more so than ozone. Sometimes I even got some of the normal side effects like nausea, headache and little fever. But the dose will be adjusted so that your body can manage it. However, it all went away and after treatments I many times experienced my heart was beating like a metronome and mind was exceptionally calm. The reaction to ozone varies on each person. And after each therapy session I got to enjoy the benefits of drinking ozonated water as Shikha ozonated my drinking water in my bottle. For those who ask how long does it take for ozone to dissipate from it I would say it’s good to drink it within the first hour at least in warm environment if you can’t store it in refrigerator. Not necessarily all but at least 1-2 glasses. My overall experience was like a roller-coaster, first weeks being almost bed ridding. It gave me more “bad” days than good ones when I was too tired to do anything but the most important daily affairs, but slowly when the protocol got more intense and I was slowly detoxing I started to experience more good days. Some get positive reaction already from the first time. But one has to be patient and keep pushing through no matter how weak you may feel. It will turn good even if it feels like you’re not in a wellness destination, but drifting somewhere in invisible chains of agony. This common phenomena that you can find being described in many peer to peer support forums is called herxheimer reaction. Later I experienced same kind of latency in response when doing rectal insufflations at home. First two weeks of almost daily sessions I was getting more and more tired, until one day I woke up like a new person again and from that moment the reaction was always positive. Of course if you have long brake in therapy the reaction when starting again might be like in the very beginning. More about it in here. I stayed for two months, but I recommend staying three months. Within two months my vision was improved by 80% as a surprising side effect. My left eye that was -1.00 went basically back to zero and the right one that used to be -1.25 is now somewhere around -0.25 and -0.50. The scale is too rough for me. As I told in My Journey chapter, I initially found the clinic being located in Anjuna village, short walking distance from the place where I had shortly stayed before so I was familiar with the surroundings. They have nowadays moved to another location in Goa, Sangolda, after operating in Anjuna for about eight and half years. It is still easy to reach, even easier from the most concentrated areas of North Goa, Calangute, Baga and Candolim areas. From Anjuna which is more famous for independent travellers and other social activities such as Yoga and spiritual stuff and parties, it is now more inconvenient, but you can still reach Sangolda by local bus in about 60 minutes, but it requires a change in Mapusa. Taxi, motorbike or rickshaw would take less, about 20 minutes, but may cost like 200 INR. Buses take 30 INR one way. After three years I came back to see the new premises and found it was great leap forward in professionalism, but in the other hand maybe it has lost some edge in the minds of those how seek really small scale homely atmosphere. However your liking is, it is one of the greatest places in the world to undergo integrative therapies affordably under doctors supervision. Shikha as I colloquially call her by first name, is well culturally accustomed to serve foreign clients and you can easily get in tune and common understanding with her which is crucial in having positive experience with a physician. She dedicates time to listen to the patients, not jumping into conclusion too quick as some doctors may do just out of overconfidence or of need to play the role of authority. 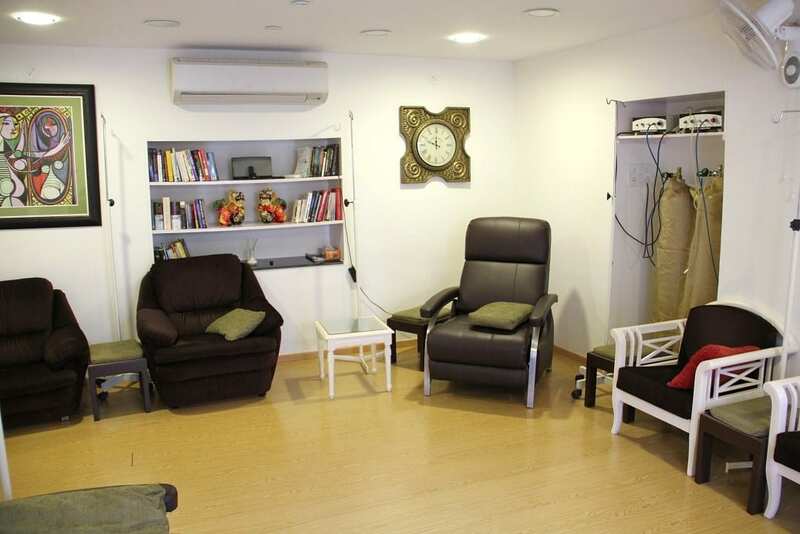 Overall Healthy Healing Center reflects a great sense of integrity and true values that are hard to find these days, especially in any larger scale wellness destination in India like five star hotel chains and spas that operate in a corporate manner. The prices for ozone treatments vary somewhere around 1000-2000 INR and chelations drips around 2400-2600 INR, but you should contact the clinic directly to request current pricing. Package deals might be negotiable. Find your best flight offer to India here.